We all need a great mirror in either the bathroom or the bedroom, which gives you the best view of your face for doing your make up, hair or skincare routine. 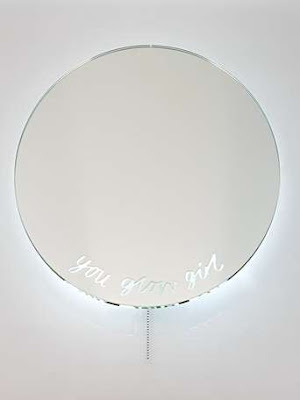 The beauty of this amazing mirror is the fact you can switch it onto day to give you that added, extra glow of positivity. Simply add batteries, hang in your bathroom or bedroom, and switch on to light up your day.